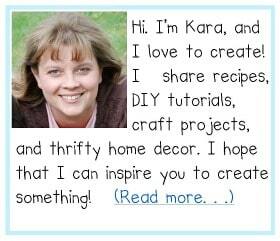 Home decor, recipe, craft, DIY blog. This post may contain affiliate links, which gives me a small percentage of the sale, at no cost to you. Thanks for your support! 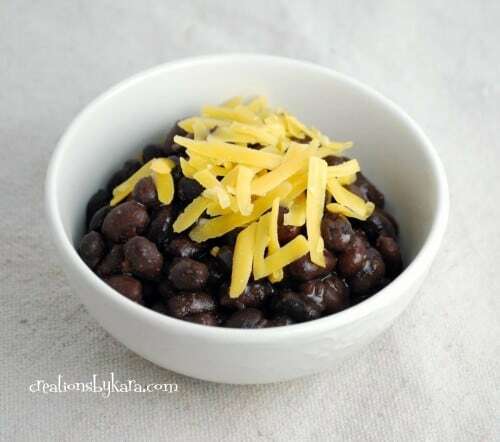 I found this recipe for Crock Pot Black Beans over at Daisy Cooks. She said that her husband likes them so much he would eat them for every meal. When I read that, I thought, “What the heck? They’re just black beans, they can’t be that good. Black beans are only good in things, not by themselves.” Then I made them. And I had to eat my words. They are that good. I served them with our Bajio Chicken and they were phenomenal! No comparison to canned black beans. The next day we had leftover beans but no chicken. I dished up a bowl of black beans and ate it for lunch. Plain. I am not kidding. These beans are so full of flavor that now I am sad I have all those cans of boring, bland black beans in my food storage room. If you like black beans (or even if you think you don’t), you should really give these a try. Next time I make these I plan on trying them in bean burritos. I’ll let you know how it goes. Dang I am craving some! Drain off the water and pour beans into a crock pot. Add the 3 cups of water and the remaining ingredients. Cook on LOW for 8 hours or on HIGH for 4-5 hours. During the last couple hours of cooking, you can add extra water if you want them saucy.